January Favourites | emma etc. First Aid Beauty Face Cleanser - I've been using this for at least a couple of weeks now and I'm really liking it. Previously from First Aid Beauty, I'd tried their Oatmeal Face Mask and enjoyed it, and their cleanser doesn't disappoint either. This leaves my skin feeling clean and refreshed, and while it's nothing groundbreaking, I think it's good for sensitive skin. The smell isn't my favourite but I can live with that. This was a small size from a gift pack but I was surprised because there is more product than I thought. Maybelline Lash Sensational Mascara - I have mentioned this mascara briefly on the blog before, but I think this month it deserves some more attention. I have seen a lot of people mentioning this recently, so I thought I'd add to the cluster and tell you that I love it too. Sometimes I haven't felt like wearing liquid winged eyeliner, so I'll just wear mascara on it's own. This very black mascara makes your eyelashes look so amazing - full and lengthened. I can see myself using this over and over. 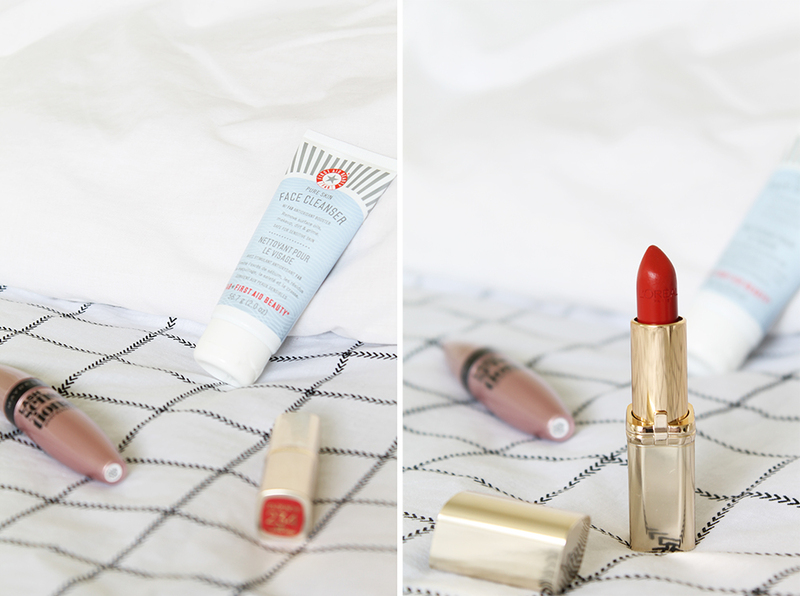 L'Oreal Colour Riche Lipstick in Brick Fashion Week (234)* - I've also mentioned this briefly on my blog before, but I knew as soon as I'd started trying it out, it would have to go in my favourites. I think it's the colour more than anything which I love - it looks like an orange-red in the photo, however it comes out quite a bit lighter on the lips. I've never been one for orange lipstick, but it's just something lovely instead of my standard pink based lipstick. The formula itself is good too - creamy on the lips and buildable - however this isn't a matte formula which I tend to like more. Something sheer and pretty is nice for a change though, especially in summer like it is for me now. Vinyl - It probably comes as no surprise to you that I've been loving Vinyl lately. My town's well-known record store opened back up recently so I've been a couple times to sift through the records. While they're kind of expensive, and I'll only buy one here and there, they're just such a novelty. Nothing better than sticking on a record and pottering around the house. 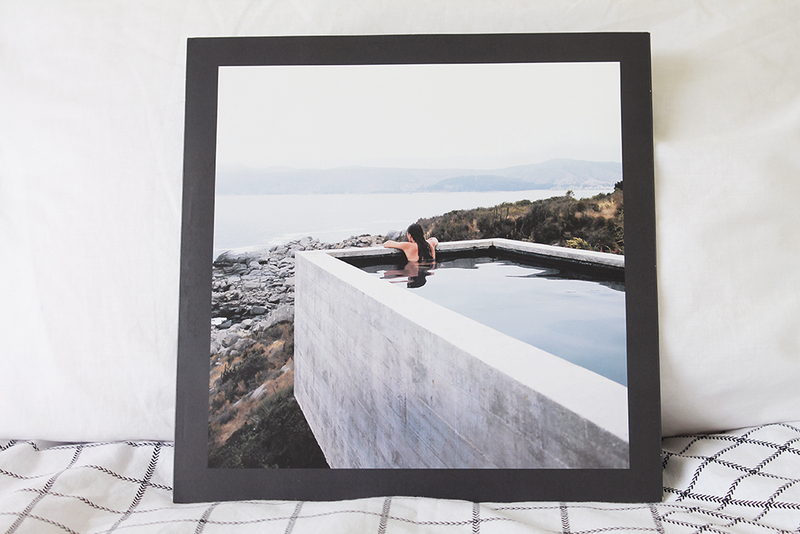 FYI this record is Yumi Zouma's Limited Edition vinyl EP I + II. 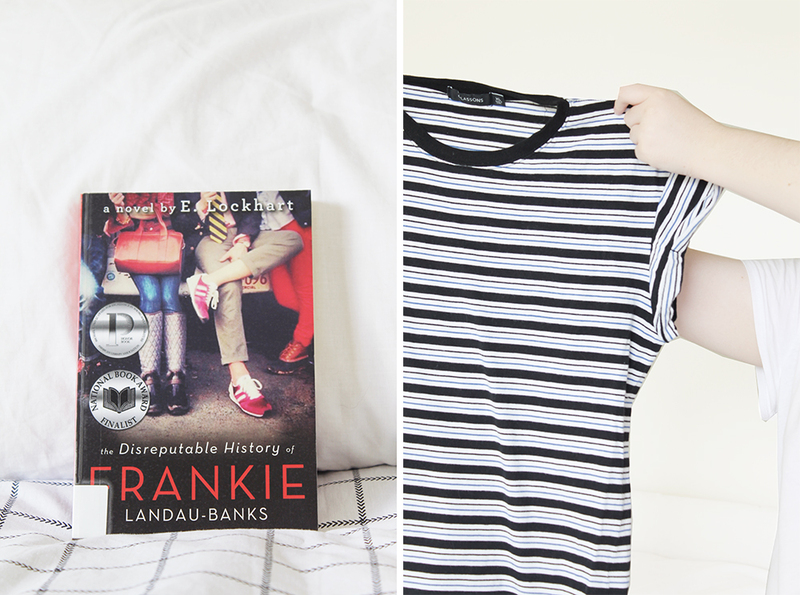 The Disreputable History of Frankie Landau-Banks By E. Lockhart - You would have seen in my Read in January Post | Part One that I absolutely loved this book. In case you missed my review of it, you can check it out here. This was definitely my favourite book I read in January and I wholeheartedly recommend it. It was such a cool book, I'm literally so in love with it. 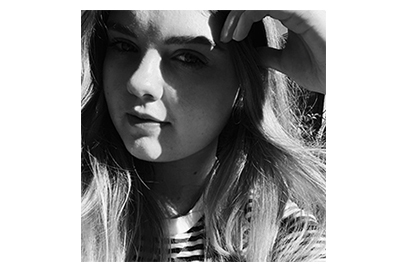 A striped shirt - I'm going to mention any miscellaneous/fashion favourites if I have any each month, and this month I have definitely loved wearing this striped shirt from Glassons, which was cheap and nice quality. I'm such a sucker for striped shirts - I own way too many, but it's just something I can't shake. I haven't taken any outfit photos in quite a while - it actually makes me kind of sad! I really want to shoot more posts on fashion but as I mentioned in a previous post, I just haven't been 'feeling' my clothes at the moment. Hopefully it's something I do a little more of soon! Hope you liked this slightly more condensed favourite list from what I usually do.